Heuchenne Bauge specializes in mystery shopping and mystery guest, followed by training. We focus our activity mainly on boutique hotels and restaurants but we are also open to other industries like banks, hospitals and boutiques. We tailor design the survey to fit your needs and we work with a team of mystery shoppers (guests) who conduct the secret visits. Within a few days, a detailed report will be submitted to you, to help you identify the areas of concern and address a way to improve service quality for your discerning guests. 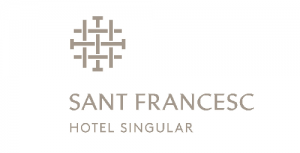 Since February 2016, we have been engaged with Hotel Sant Francesc supporting this award winning hotel in Mallorca, on rolling out of philosophy, daily communication meeting, training on SOP’s in F&B, coaching and mentoring. We continue to offer our services in areas of team building and coaching. 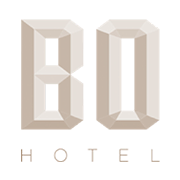 We have conducted and executed mystery shopping for BO HOTEL in Palma de Mallorca, in both the rooms and F&B areas of the hotel with changing scenarios for each visit. We have conducted and executed a mystery shopping for Hotel Finca Gomera, ensuring the personalized service and attention to detail is met in every interaction with the customer. We had the pleasure of performing a mystery shopping for Sa Creu Nova Art Hotel & Spa prior to the opening in all the areas of the hotel including in the Spa, identifying areas of improvement and highlighting the USP of the property. If you wish more information or if you need to know more about our services, please do not hesitate to contact us through our web contact form.